"The rights which labor has won, labor must fight to protect." 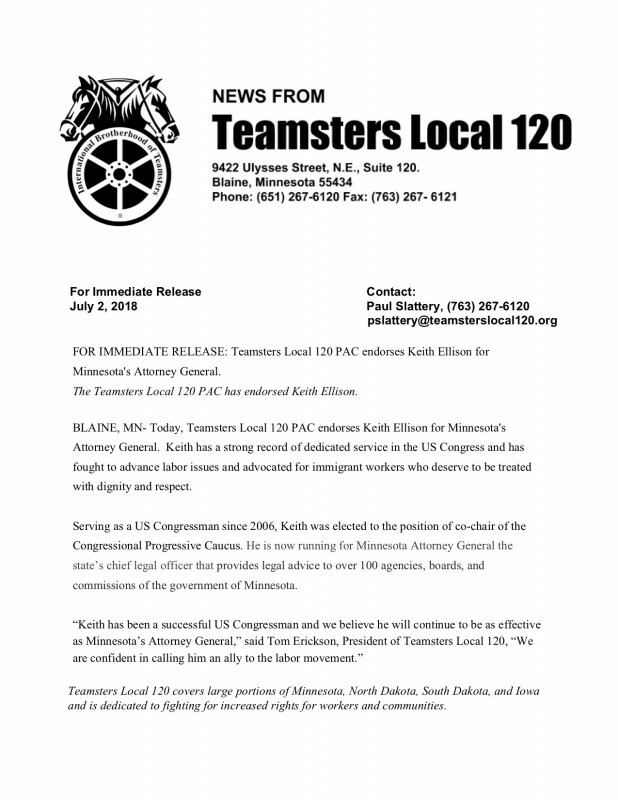 Teamsters Local 120 proudly represents over 11,500 members in the States of Minnesota, Iowa, North Dakota, and South Dakota. We serve members in a variety of industries, from freight, airline, warehousing, foodservice in the private sector, to police officers and city workers in the public sector. Our Local Union negotiates industry-leading contracts, and defends our members’ rights every day. We are YOUR Local Union! Copyright © , Teamsters Local 120 - All Right Reserved. Minneapolis website development.